I keep getting asked by my friends, family and of course clients about the different shops in London where they can shop for Indian clothes. 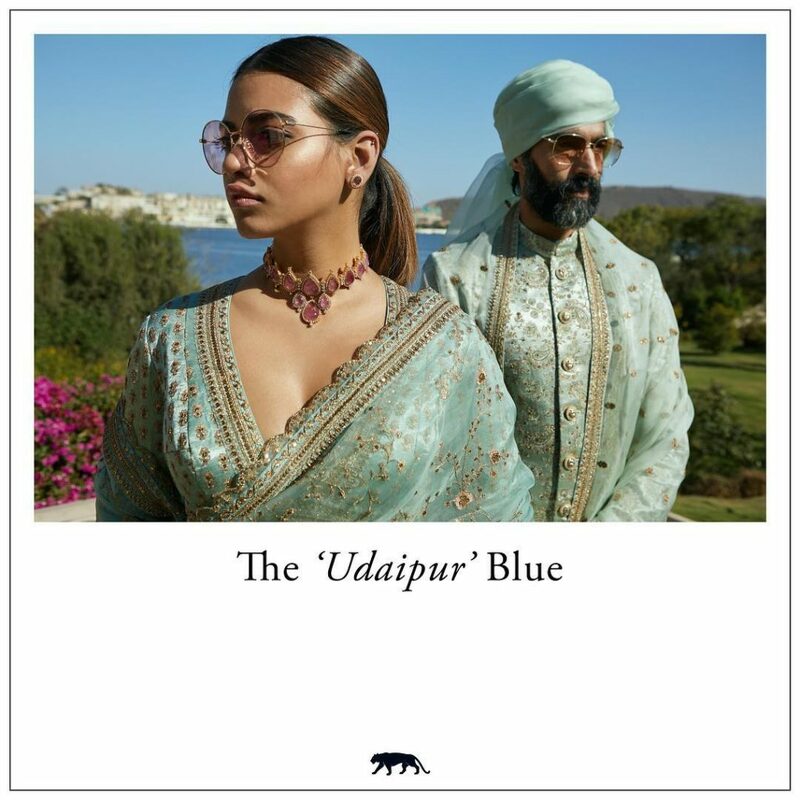 After doing research each time, and replying to all of them separately, I decided that it is time to make a comprehensive list of stores to shop Indian clothes in London. This is an evolving list where I am going to keep adding the shops as I discover more, but for the moment represents everything I know about London. If I missed out your store and you would like to get included, please get in touch with me and I’ll be happy to add you to the list. The list has been divided by broader London areas for convenience. And I have not included any online stores in this list – there might be a separate post about this! Wedding shopping! The words illicit responses from utter delight to sheer dread amongst women. The ones who relish the idea of spending hours upon hours browsing stores, online websites and meeting with various designers for their dream outfits are in shopping heaven while the ones who think shopping is a complete waste of time are filled with an impending sense of doom regarding the whole exercise. However the one common thread binding both extremes of women is confusion! 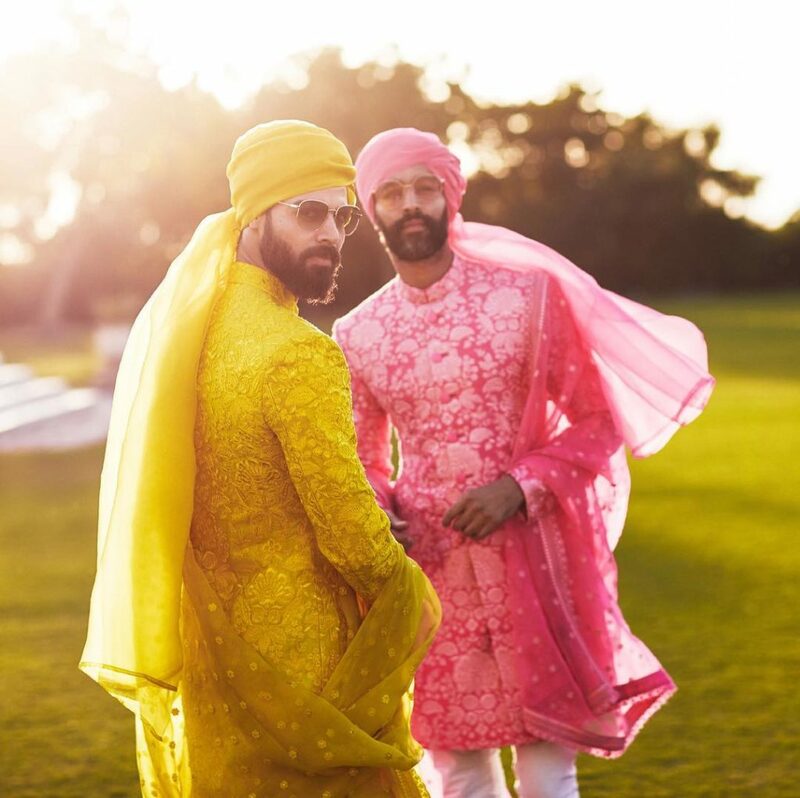 How to choose your Indian Wedding Attire? A wedding outfit must reflect your personal style, which isn’t so difficult if you happen to be the decisive sort and know exactly what will make you look on point. 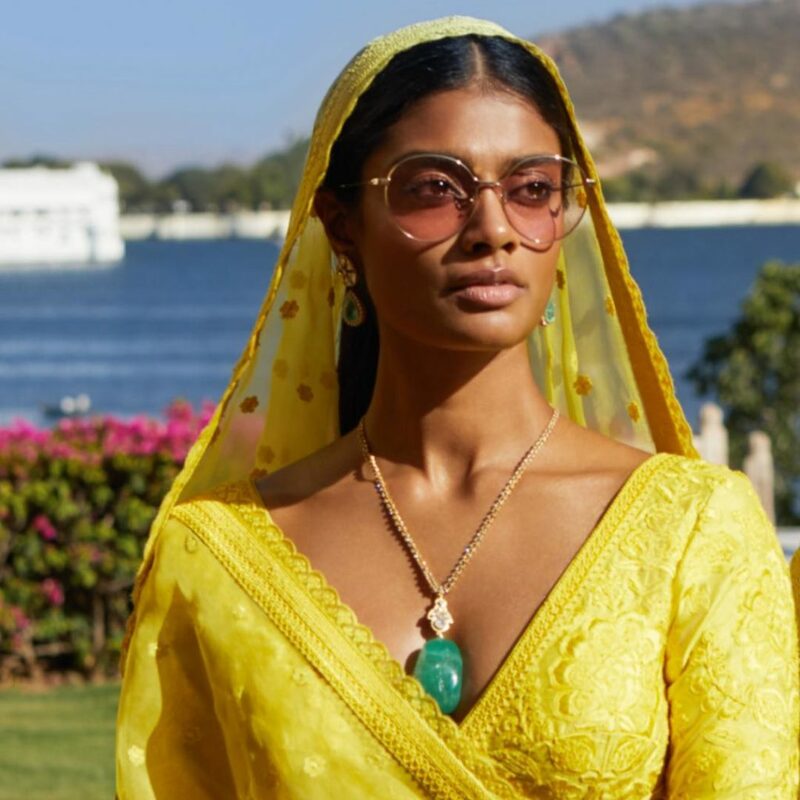 But the waters get a little bit murky when it comes to Indian wedding attire mostly because Indian fashion is evolving at a tremendously fast pace. The age old traditional wedding clothing were worn over many years and passed on to future generations. 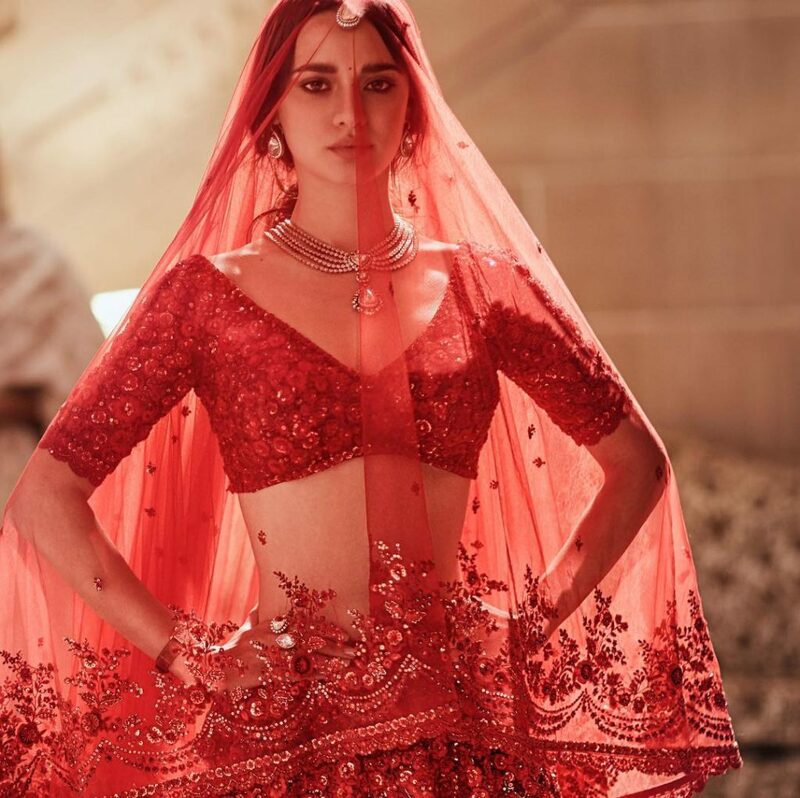 These types of wedding outfits are still very popular, but as immensely talented designers churn out fresher, newer and reinvented collections each season the choice between going traditional or contemporary has never been harder. Leading to total chaos due to a plethora of luscious choices. 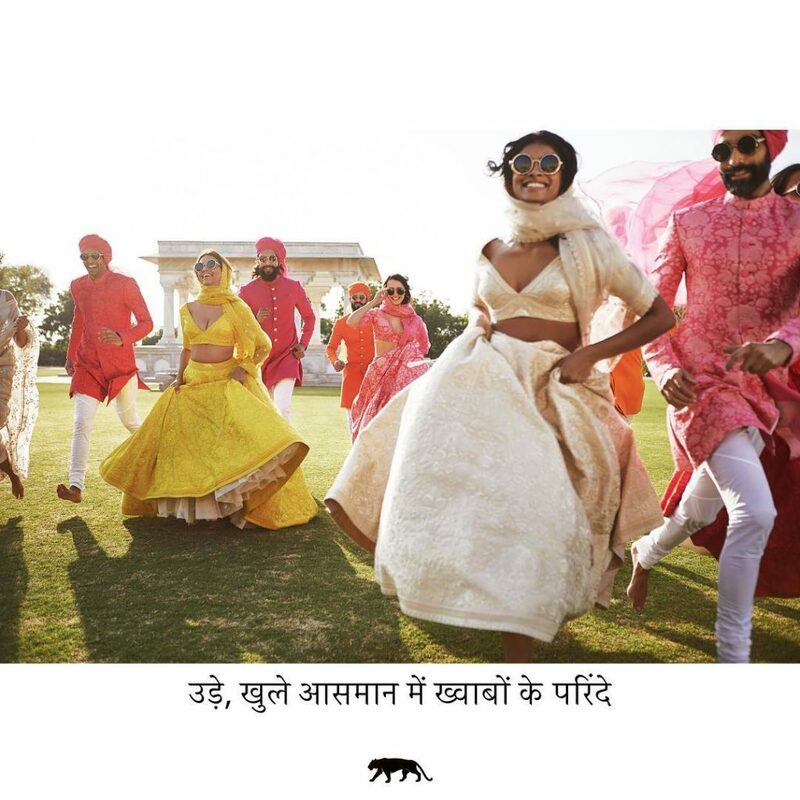 It also doesn’t help that nearly every female within a 20 mile radius of you will suddenly feel the incredible urge to dole out advice regarding what she thinks is the latest trend in Indian wedding dressing and what she would do if it was her time to shine. You might get adept at treating unsolicited advice as white noise after a few hundred times and imagine clubbing them over the head with a heavy object as you nod and smile aimlessly but sometimes a piece of that annoying advice will get stuck in your head and mess with your decisions. 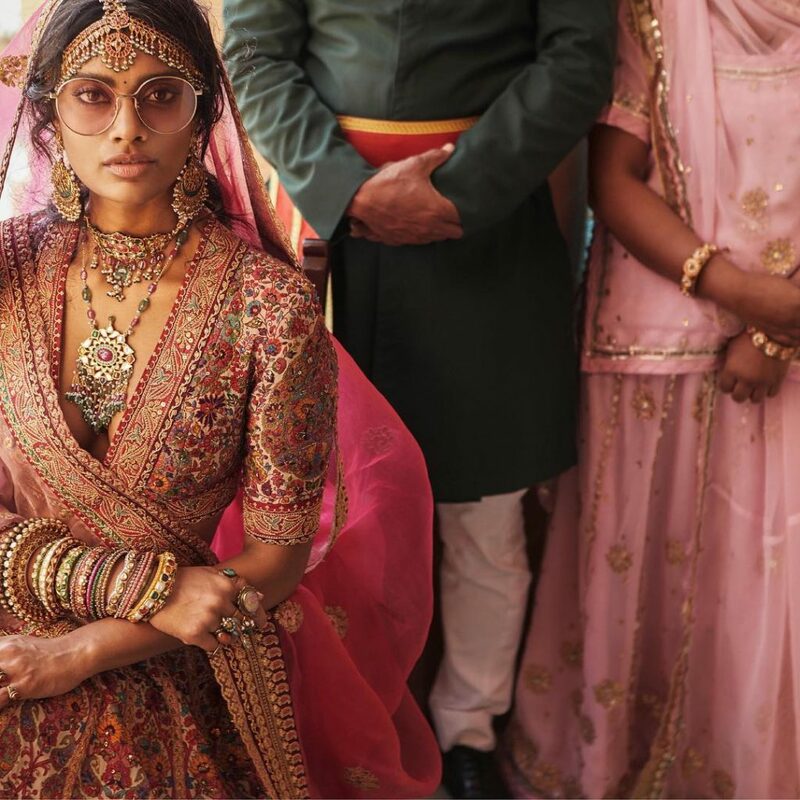 In an effort to simplify things and make life a little bit easier during this hectic and stressful time we break down traditional and contemporary Indian wedding attire down to its bare bones with examples for (hopefully) quicker conclusions. 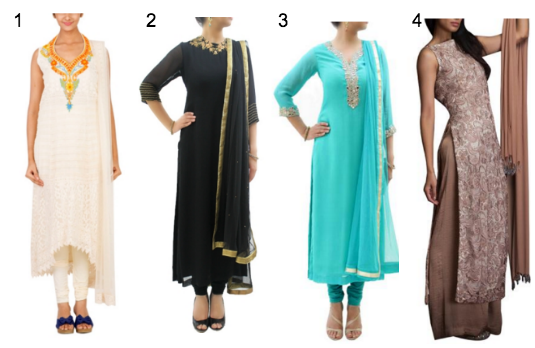 Starting with the most versatile and confusion inducing choice – the Indian version of the pantsuit – Salwar Kameez. To make it simple let silhouettes and embroideries be your distinction between traditional and contemporary. Traditional silhouettes have straightforward cuts and shapes. The embroideries on traditional Salwar Kameez styles are simple with Indian motifs and colours. These styles tend to be more wearable regardless of current trends making them classic and investment worthy. 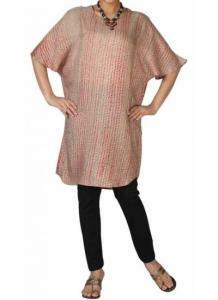 Contemporary Salwar Kameez styles tend to have more stylised silhouettes and abstract or western embroidery motifs. 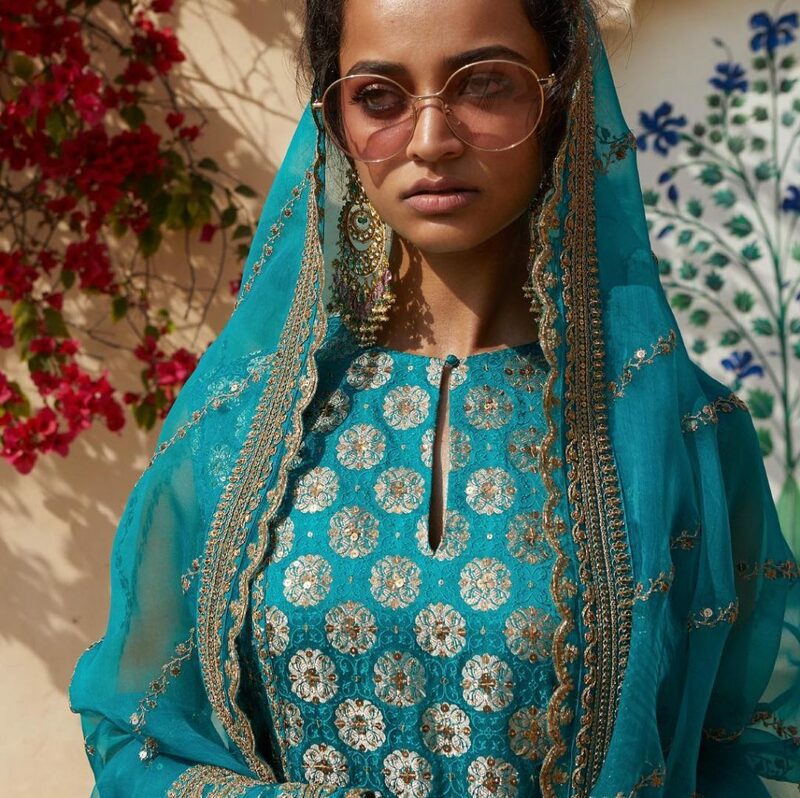 As with anything trendy the contemporary styles run the risk of becoming dated very quickly as each new season brings with it a different version of the contemporary Salwar Kameez. 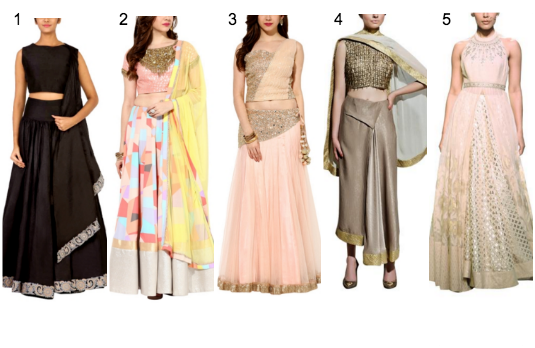 Moving on to the Salwar Kameez’s super dressy cousin – the Lehenga. 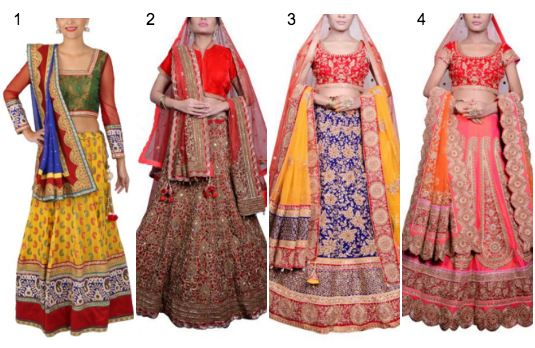 Lehengas can be divided up into traditional and contemporary based on styling, fabrics and the amount of embellishments. 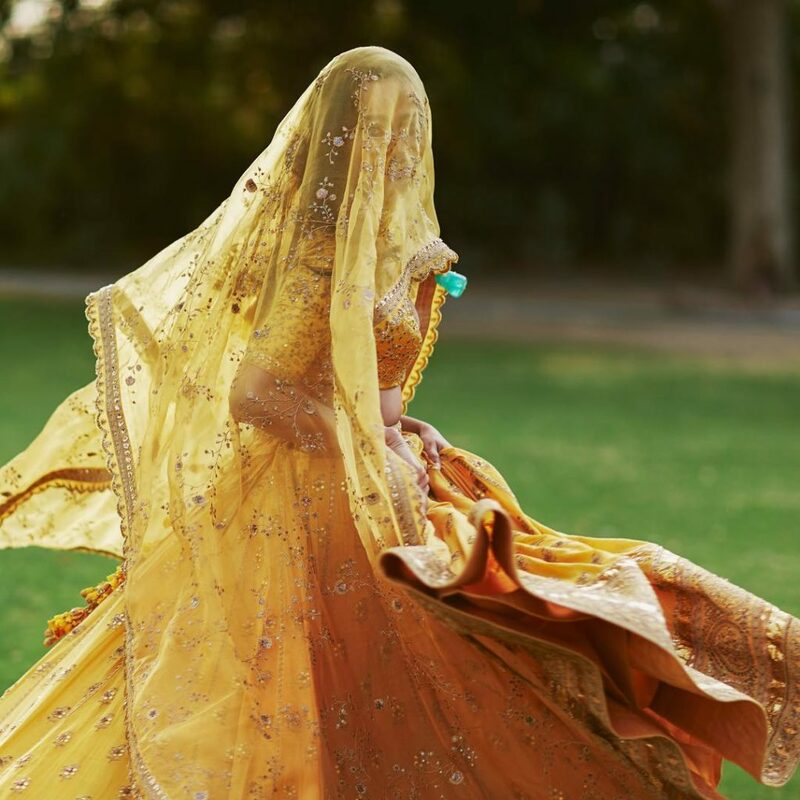 Traditional Indian lehengas have short cholis with sleeves in varying lengths, flared skirts and feature a long dupatta that can be draped in different styles. 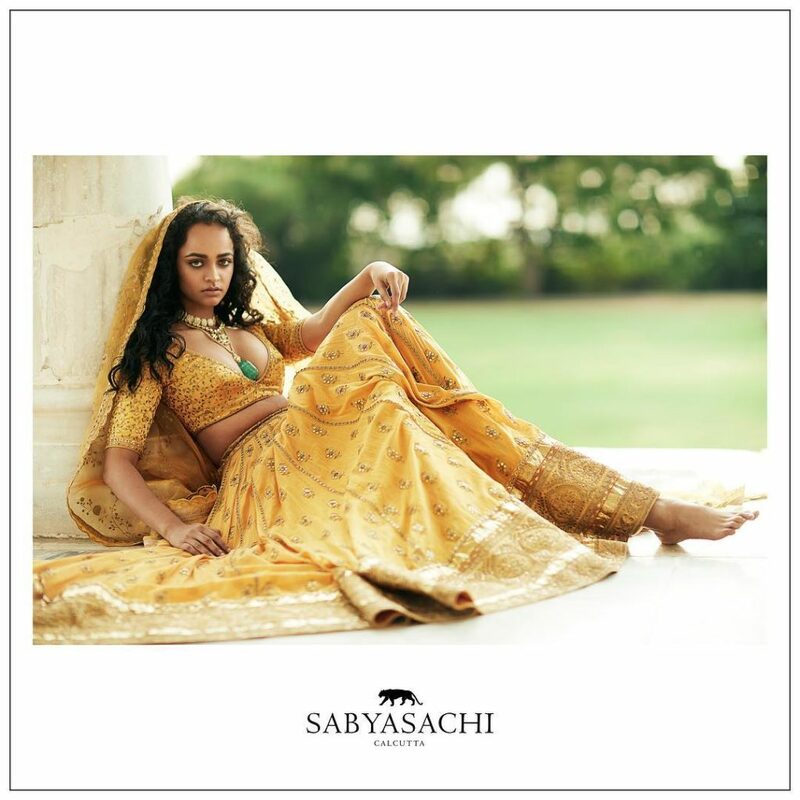 These lehengas tend to be heavier on embroidery and made in luxurious silks or brocades. 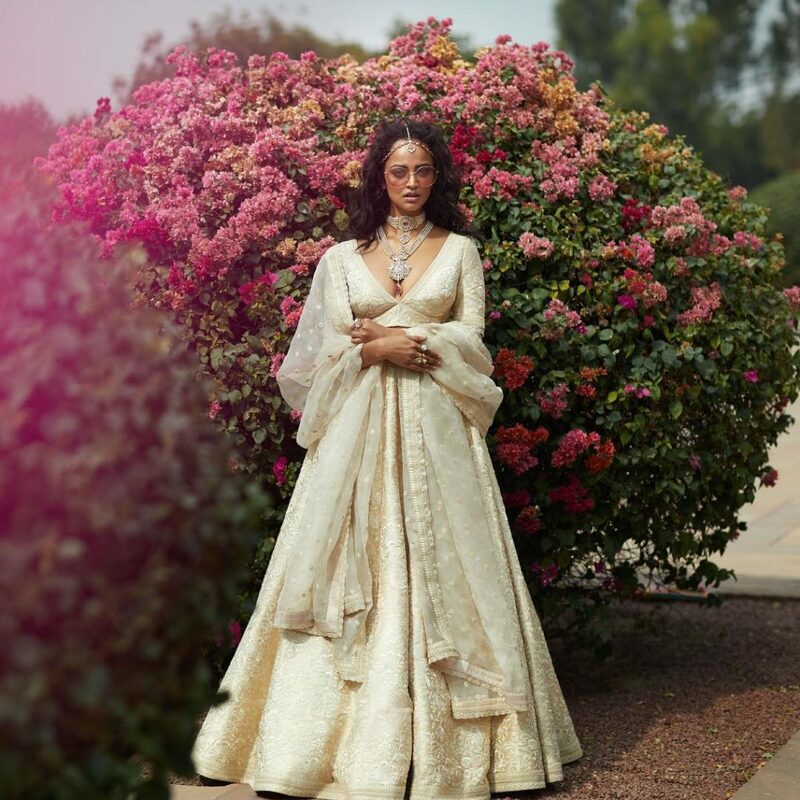 Both these elements tend to make traditional Indian lehengas very heavy to wear but the weight is a small price to pay for their unmatched grandeur and opulence. Contemporary Indian lehengas break the mould with their silhouettes, minimal embroideries and sometimes do away with the dupatta. Women who want to be able to move around without being bogged down by their heavy outfits will love the contemporary styles. 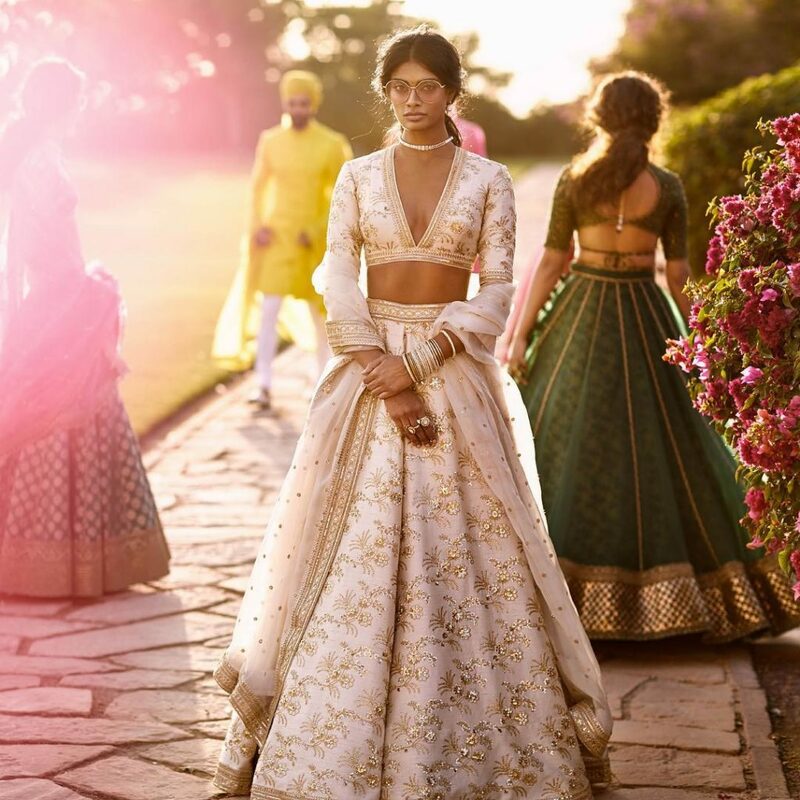 The availability of a variety of silhouettes that feature the lehenga and cholis in different cuts and shapes and the subdued embellishments make these ideal for those who want their clothes to be an extension of their personality. The most quintessentially Indian piece of clothing is undoubtedly the saree. 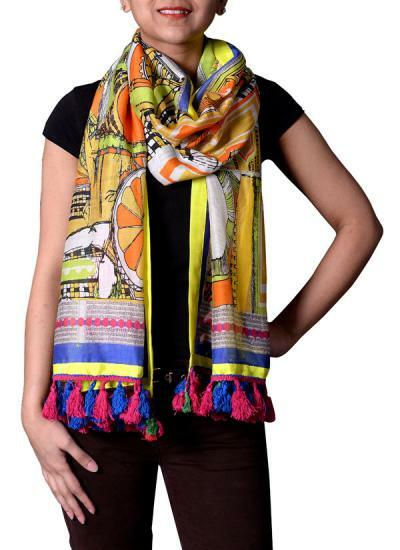 It is also a necessity in every Indian woman’s closet irrespective of her age. In the past sarees have always been more traditional and have been considered family heirlooms. The custom of daughters wearing their mother’s wedding saree at their own wedding is still prevalent even today. However the creative geniuses of Indian fashion have given the humble saree a modern day facelift and created a myriad of styles. Sarees can be distinguished as traditional or contemporary by the way they are draped, the fabric and the kind of embellishments. Local craftsmen who have honed their skills over many generations make traditional sarees from indigenous Indian fabrics. Each state in India has its own distinctive style of saree that is worn by the women who reside there. 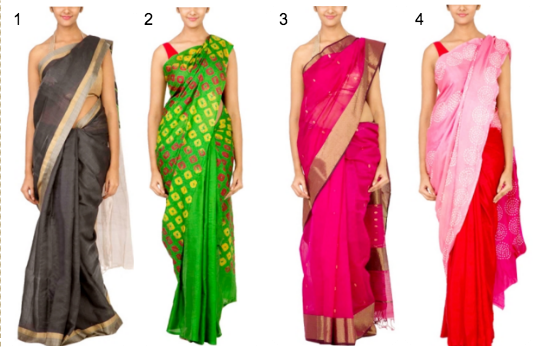 Traditional Indian sarees are always in style and add a certain vintage charm to any look. 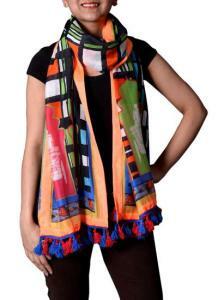 Contemporary Indian sarees are the new age evolution of the traditional saree. They are made in lighter fabrics like net and georgette that are easy to drape and hug the shape of the body creating the illusion of curves. 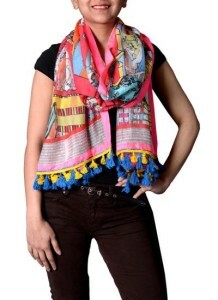 Contemporary sarees can be simply or heavily embellished with different types of materials. 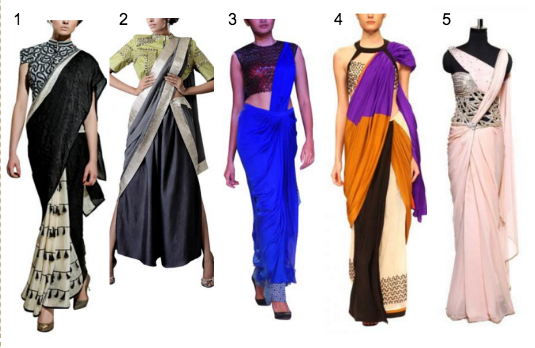 Some sarees are also pre-stitched and pre-draped for women who can’t be bothered with the hassle of draping and pinning down the pleats. 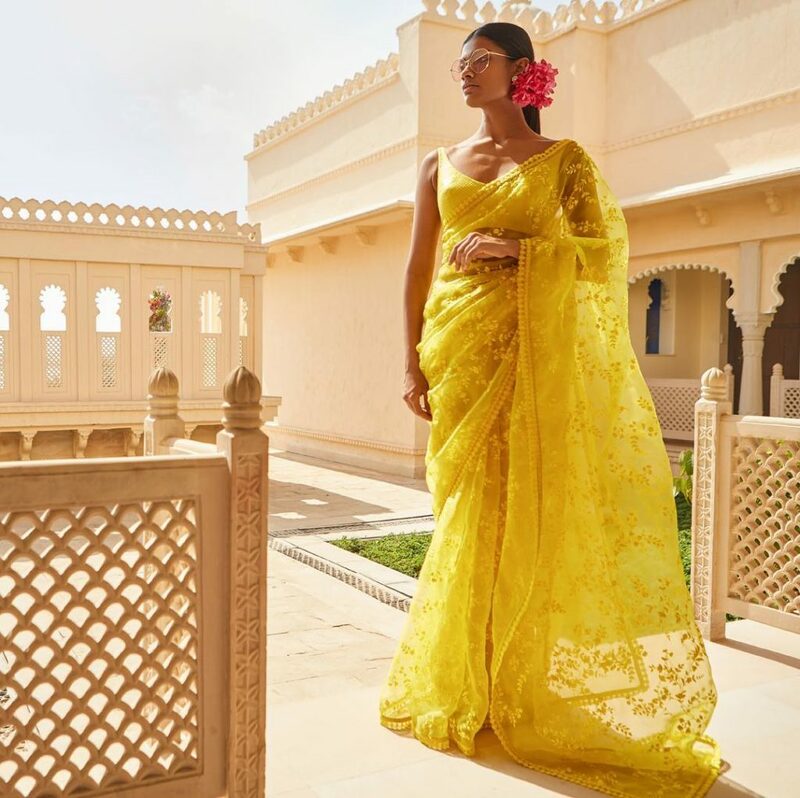 Contemporary sarees may not have the old world charm of traditional sarees but there is no denying their endless possibilities of creative styling. 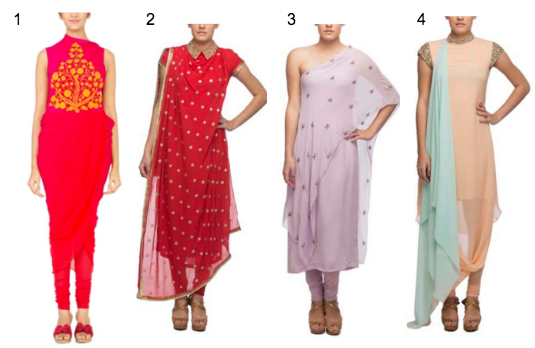 This post is provided by Strand of Silk, an online retailer of contemporary Indian fashion and bridal wear. Wills Lifestyle Fashion Week SS15 certainly garnered my oohs and aahs over some of the exquisite collections that adorned the ramp this year. Now what can I say about Viral, Ashish and Vikrant’s collection, Virtues, on Day 2 of Wills Lifestyle Fashion Week? Their collection put the phrase, designing for meaning, truly into perspective. The first half of the show featured a display of powder blue pinstripes, leading into a stunning kaleidoscope of red hues, flowing silhouettes and elegant detailing. You will certainly be able to find a quirky, fusion element in this collection, with detailed dresses, jacket kurtas and asymmetrical dresses that flow gracefully with every step. The collection shed light on HIV and made prominent the message of equality. Amidst the glitz and glam of Wills Lifestyle Fashion Week, I think it is equally important to address a strong message such as this, and through what better medium than design? 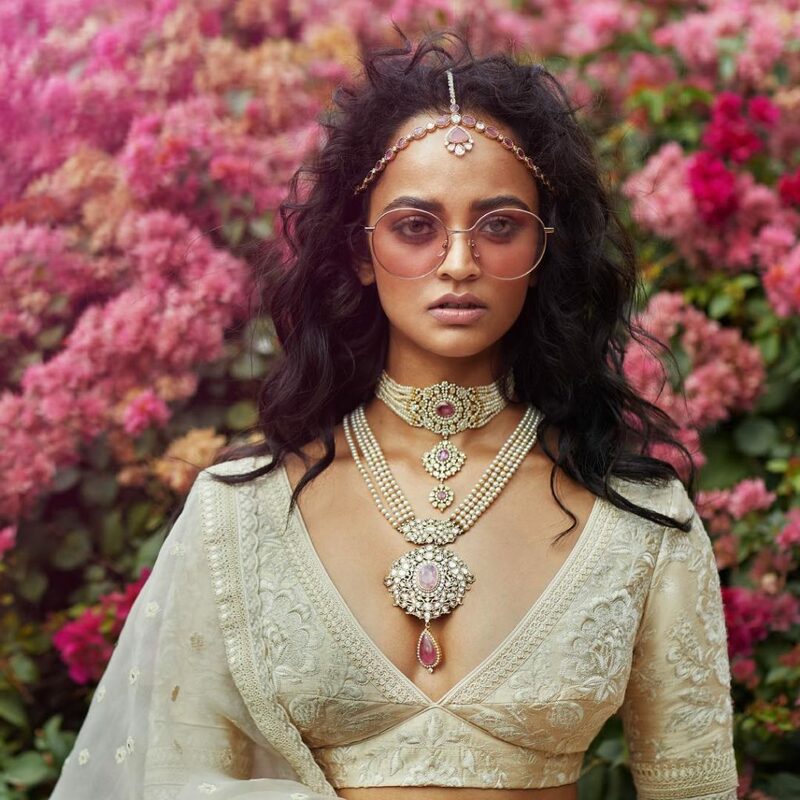 Overall, the collection struck the right chord with the cuts, fabrics, colours and detailing, making it an ideal choice for brides to flaunt at their outdoor mehendi event. The best thing I like about this collection is that the styles look so effortless and comfortable to carry off, yet give off such a chic vibe! A beautiful number from the Virtues collection by Ashish, Viral and Vikrant at Wills Lifestyle Fashion Week SS15. A spectacular parade of corals on Day 4 of Wills Lifestyle Fashion Week SS15. 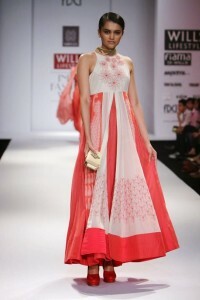 Day 4 of Wills Lifestyle Fashion Week saw Rabani and Rakha’s stunning gold palette dawn the ramp. Indeed, bridalwear has expanded beyond the horizons of red…and nowadays you can even paint the town red in a stunning gold number. 😉 The collection had beautiful accents of ivory and sun-kissed peach. The highlight of Rabani and Rakha’s collection at Wills Lifestyle Fashion week were their subtly embroidered net sarees and gold sequined blouses that definitely upped the glam factor. 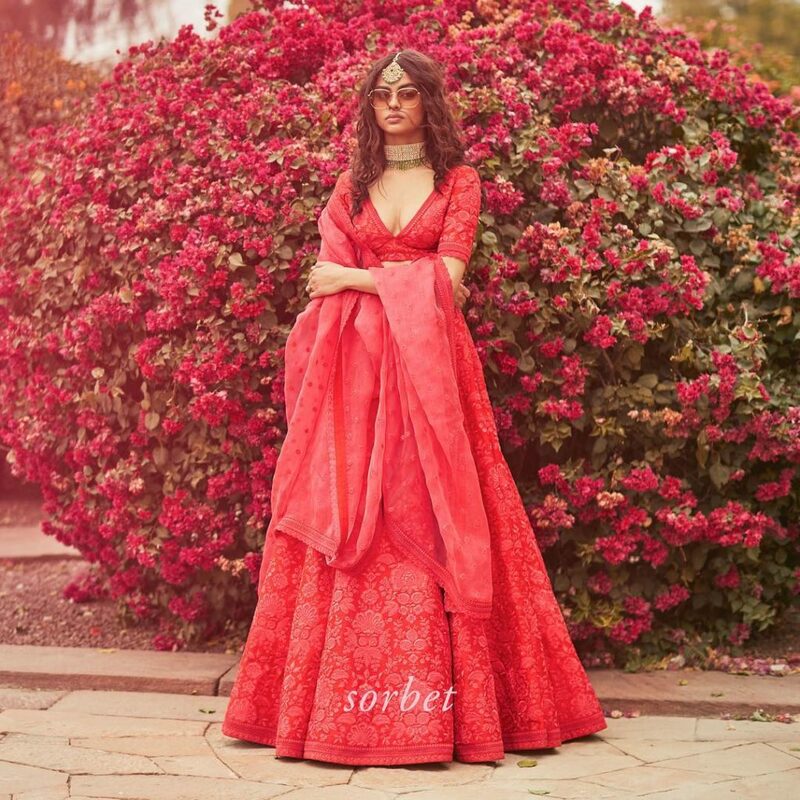 Along with traditional Indian attire, the collection saw a fusion of gorgeous dresses and gowns, cleverly layered with luxurious lace, tulle, embroidery and brocade work. For a chance to shine and feel like a gold goddess, I would definitely opt for a gold number for one of my wedding functions! 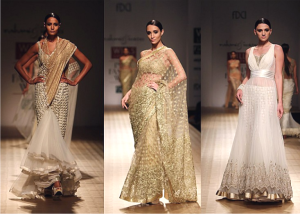 Rabani and Rakha shine with an all gold collection at Wills Lifestyle Fashion Week SS15. 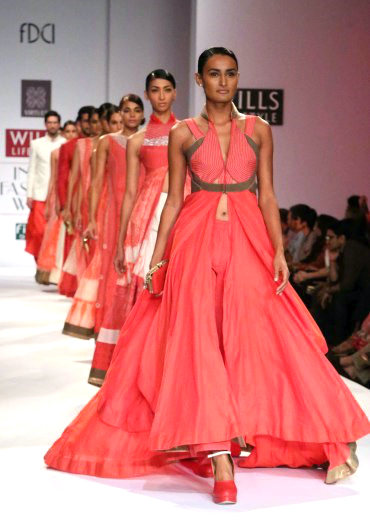 The Wills Lifestyle Fashion Week also saw designer Sahil Kochhar display his beautiful collection on Day 4. There are two words I have for this collection and those are, hello details! This collection certainly stole my heart; everything about the collection was stunning from the colour choices, to the geometric embroidery, floral detailing and intricate cutwork done skilfully in the gowns and jackets. Sahil’s collection cleverly incorporates Sanjhi, which is a unique and intricate paper cutting craft from Mathura, India, through the use of stencils and embroidery in striking colour combinations. Taking a closer look at the sheer work gone into his designs, I am especially in awe of his 3D hand cut petal embroidery. 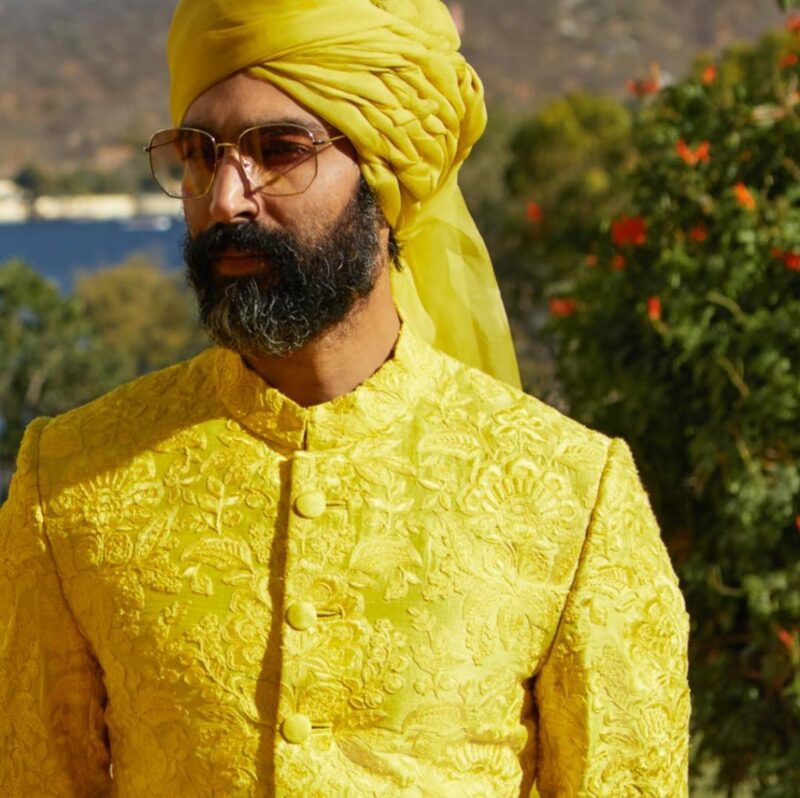 Sahil’s all silk concept and beautiful detailing make the collection so apt for a bridal function, such as a Sangeet, and give it an oh so luxurious and unique touch! 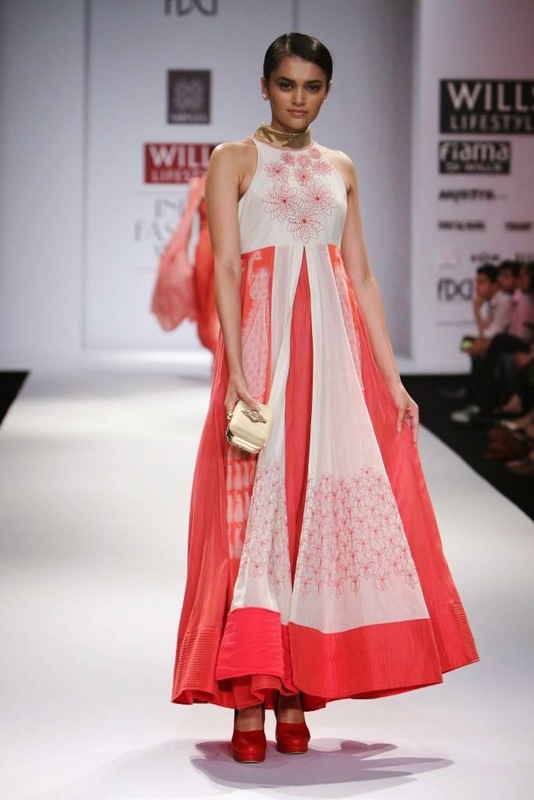 A stunning orange number from Sahil Kochhar’s collection. They say the best things come to those who wait and this was certainly true for Rohit Bal’s finale collection at Wills Lifestyle Fashion Week. Think for a second that you are being transported into a fairytale era, where dusty pink roses and a sweet fragrance lingering in the air are the norm. Let’s not forget the soft, romantic flow of the moon and shimmering lights encapsulating the place. Rightly so, this year’s theme was Gulbagh, a garden of roses, drawing inspiration from the flora of Kashmir. Rohit Bal’s collection showcased rich hues of cream, red, white, gold and burgundy. 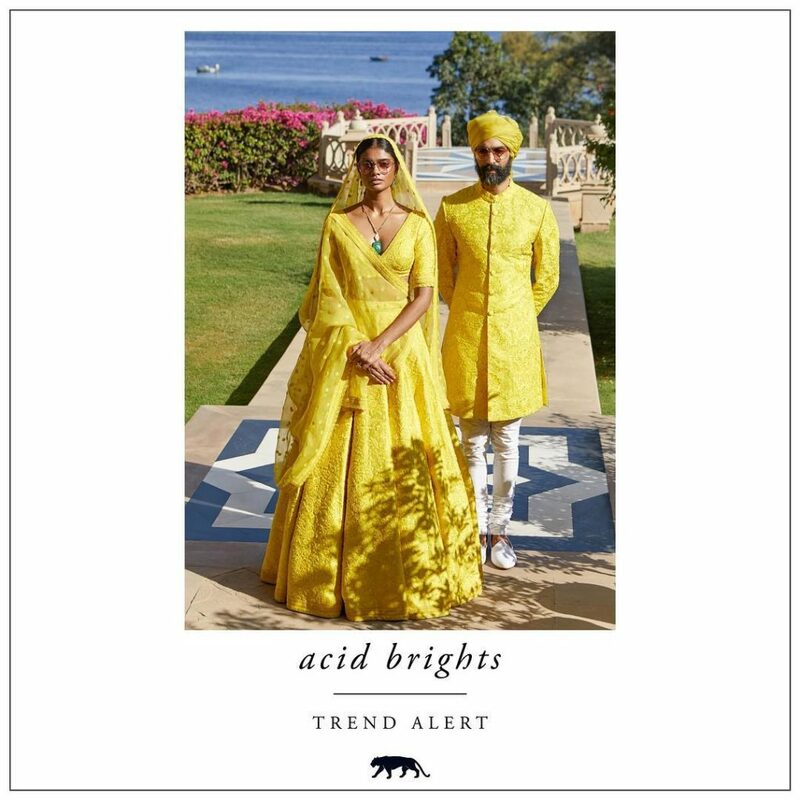 The designer certainly knows what he does best and infuses his trademark colours of gold and off-white once again into his collcetion. Rohit Bal definitely created a memorable experience on the ramp, continuing to weave magic into Wills Lifestyle Fashion Week. This collection really does tick all the boxes for a bride’s dream wedding outfit! 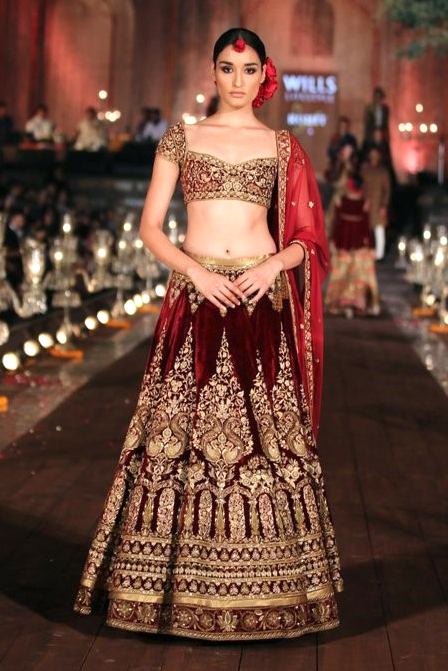 A beautiful gold and maroon lehenga from Rohit Bal’s collection. The collections showcased at Wills Lifestyle Fashion Week SS15 are sure to catch the fancy of brides wanting to experiment or get inspired for their bridal attire. 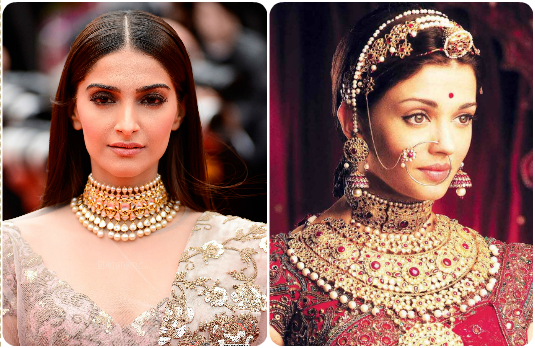 These designs are sure to make you look and feel like an absolute diva on your wedding day! 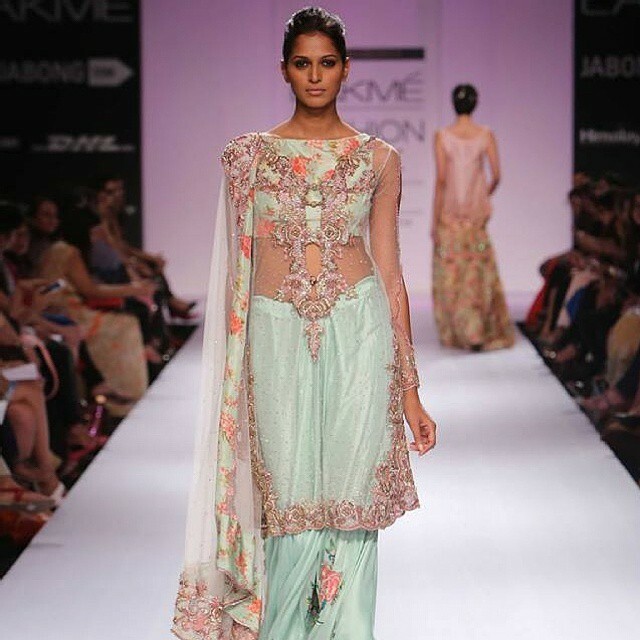 Pakistani Designer Zara Shahjahan's beautiful collection "City of Gardens: at Lakme Fashion Week Winter Festive 2014.